Contact Tags allow you to organize and group your Contacts based on actions, interest or more. Since, Aritic PinPoint is contact centric platform, that means that you only have one list of Contacts. Contact Tags help you keep that one list organized! You can import contacts into a contact tag, so you know when you brought over certain Contacts inside Aritic PinPoint. With Page Visit and Link Click Actions, you can add a contact tag when a contact visit or clicks a link. With certain form submission, you can add custom tag automatically to incoming contacts. With certain integrations, you can add a contact tag based on a purchase. 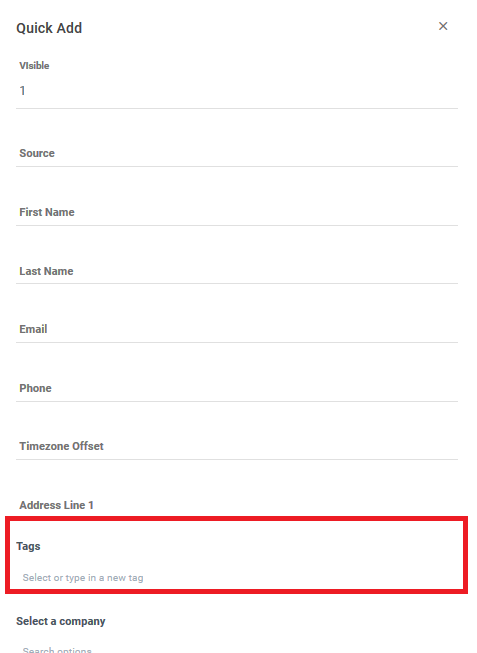 Contact Tags can be created on the Contact page or within an Automation Campaign. Contact Tags can be added to existing Contacts on the Contacts page via Automation Campaign Actions, or within an individual Contact profile. Automation Campaign action to add contact tags will only work on an automated action, over a segment of contacts. Within Segments, you can filter contacts based on contact tags and then trigger actions based from automation campaign.